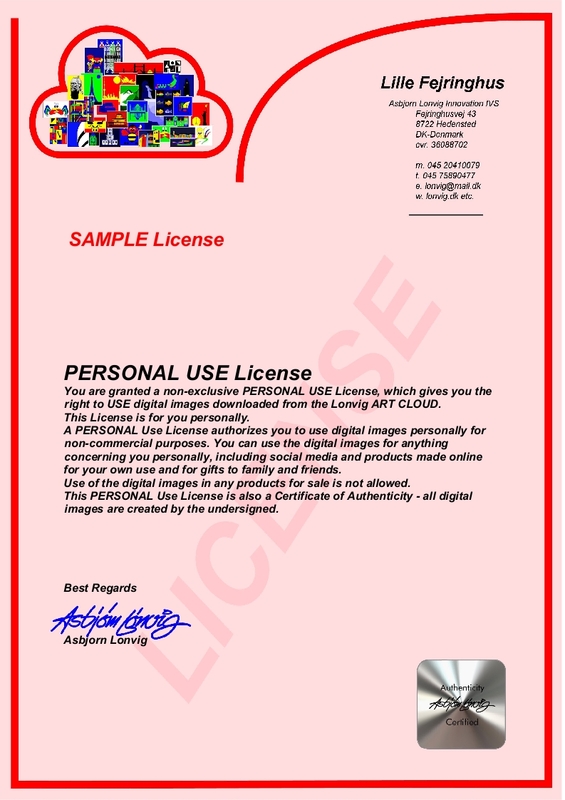 PERSONAL USE License is for you personally and can't be re-distributed. You can't make products for sale. You might request your employer to have a COMMERCIAL USE License or a MANUFACTURER USE license. 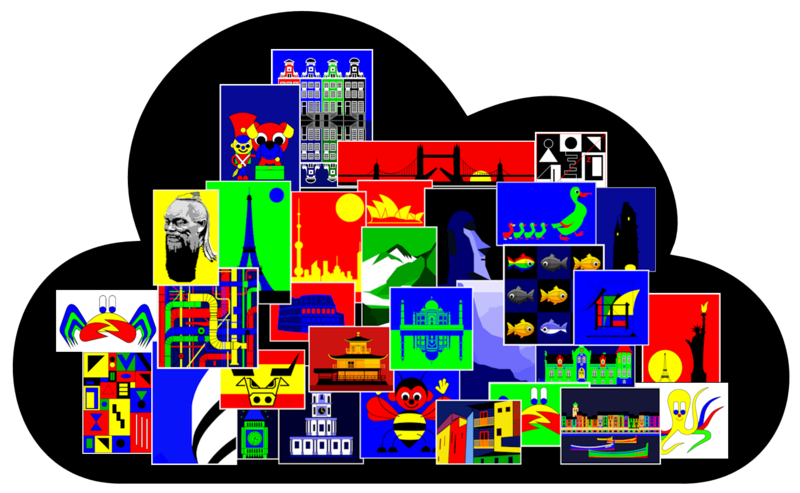 These Licenses include a PERSONAL USE License to 1000 employees/members. 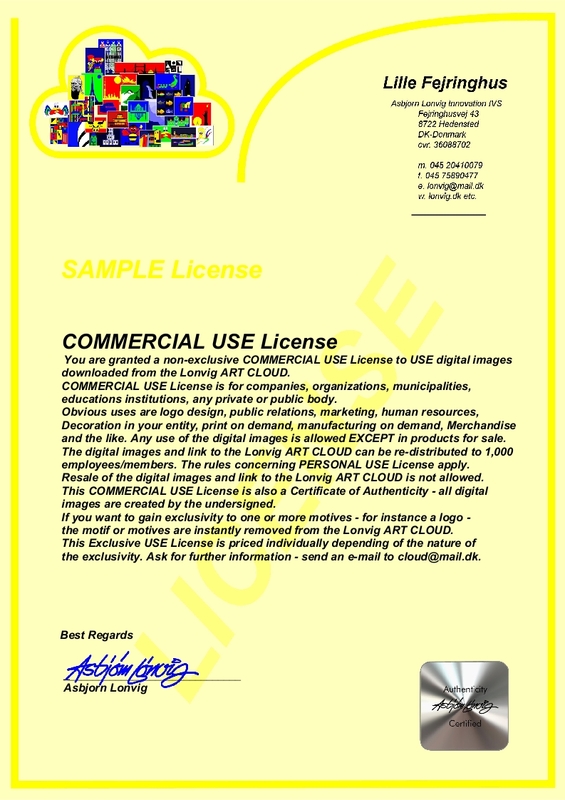 COMMERCIAL USE License is for any private or public body - it includes a PERSONAL USE License 1000 employees. See details below. The price includes the first 1000 employees/members. Concerning following 1000 employees/members there is a considerable price reduction. 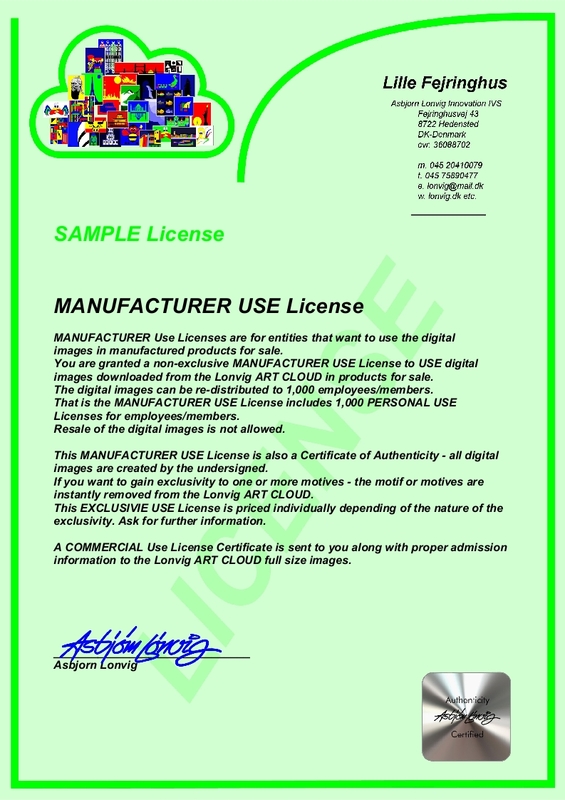 MANUFACTURER USE License is for companies that want to use the digital images in products for sale - it includes a PERSONAL USE License to 1000 employees/members. The price includes the first 1000 employees/members. It is a prerequisite to have a COMMERCIAL USE License or a MANUFACTURER USE License. 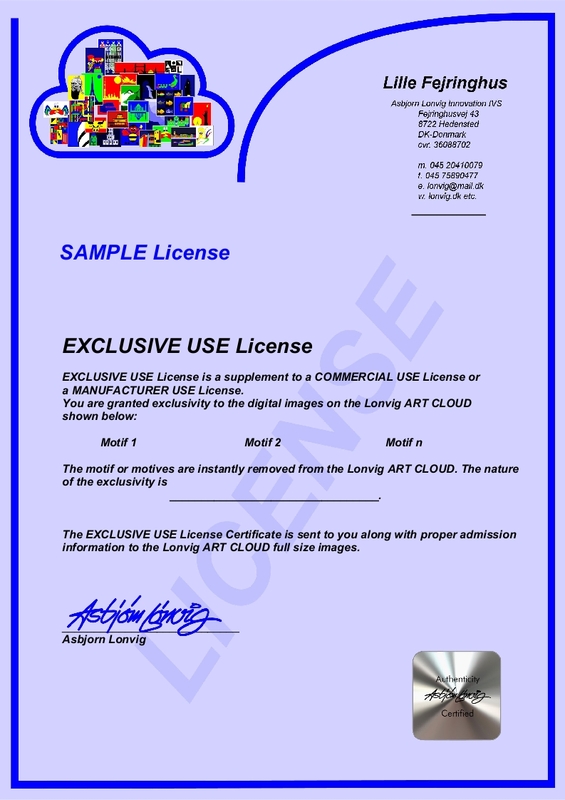 This USE License is relative expensive as the images in question has to be removed from the Lonvig ART CLOUD. 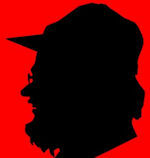 You can gain exclusivity to one motif or more motives.